Home » news , premium , update , world of warships » World of Warships EU - Collect Your 1 Day Free Premium Time Now!! 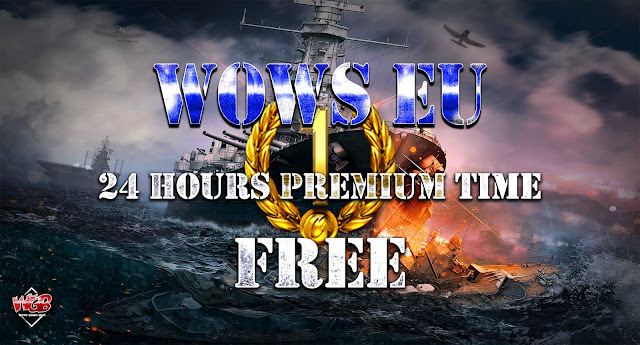 World of Warships EU - Collect Your 1 Day Free Premium Time Now!! 24 Hours Free Premium Time For EU Players. We announced initially in previous articles ( https://worldofwarships.eu/en/news/general-news/all-about-collections/#new-collectionand https://worldofwarships.eu/en/news/game-updates/update-078-wows-birthday/#collection) that for each sub-collection they will get an "Anniversary" Premium container. The best time to collect this premium time from the link above, is when you intend to spend quite a lot of your day playing.